Log Corner Cabinet, suitable in almost any room. 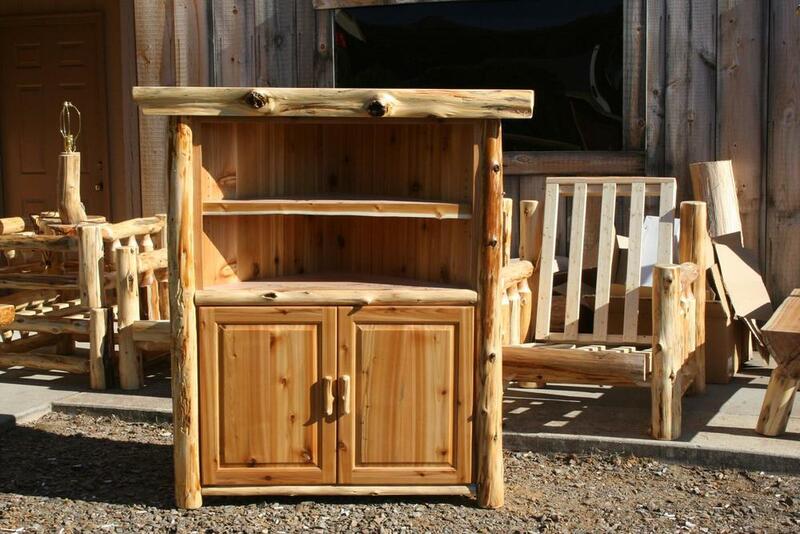 Could also be made shorter as a corner TV Stand, or in any size that will fit best in your rustic decor. Made from Northern White Cedar, and finished with several coats of high quality furniture lacquer. The interior portion of the cabinet also includes adjustable shelving.